Liverpool may want to take note of what pundit Garth Crooks had to say about Burnley defender James Tarkowski as he made it into his Premier League team of the week. The 26-year-old centre-back was recently linked as a target for Liverpool on loan this January in a bid to solve their injury problems at the back, according to the Sun. 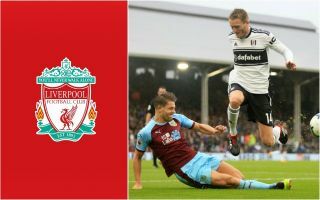 The Reds, however, will surely find it hard to persuade Burnley to sell such an important player, who provided what is being described as a match-winning moment with a crucial block in the weekend win over Fulham. Crooks was suitably impressed, giving an analysis that will only make LFC fans even more eager for their club to somehow get this man to Anfield this month. ‘What defending it was from Tarkowski to clear off the line in Burnley’s crucial win over Fulham,’ Crooks said on BBC Sport. That said, it’s intriguing that Fabinho also made the team of the week after moving to defence in Liverpool’s win over Brighton, suggesting the Brazilian midfielder could also be a decent emergency option in that position. Tarkowski, however, would no doubt be the more reliable long-term option and could be worth splashing out on this winter. James Tarkowski: How much will former club Brentford receive after England debut?